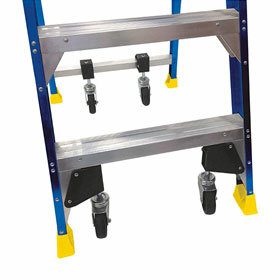 The P150 Fibreglass Platform Stepladder is an Electro-Safe Ladder with a large platform, yet is lightweight and portable with a range of features aimed at improving safety and productivity. Magnetised Handrail / Accessory holder - secures tools and fasteners. the requirements of the Australian and New Zealand Standards AS/NZS1892. 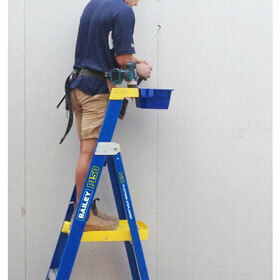 If you'd like more information or if you have any enquiries about the Bailey Fibreglass Platform Step Ladder P150, please call +612 9457-2700 or fill in this form and we'll contact you.